(CNS): Rotary Central held its 18th Annual Music Extravaganza Fundraising event on Friday at Grand Harbour when Swanky Kitchen Band, Heat and Red White & Blues entertained the crowds as they waited on the big prize draw. The grand prize of $40,000 was won by Autorou Rhoden. This is Rotary Central’s signature fundraising event with net proceeds going to fund the club’s many community projects. 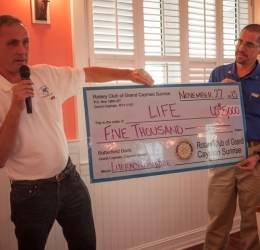 Meanwhile, Rotary Sunrise gave $5000 to the LIFE project, Literacy Is For Everyone recently after receiving the grant from the Rotary Foundation the global charitable arm of the international service club. Foster explained that the CALS Foundation (Computer Assisted Literacy Solution), which targets both adults and children is now getting off the ground now and the charity is also providing an intervention service called Leveled Literacy Solution to primary schools in all the of the Government Schools. “The donation from the Rotary will be used to pay for more LLI interventions,” he added. 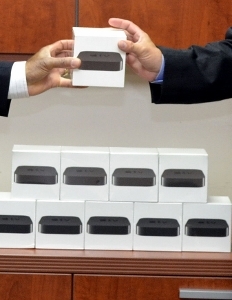 (CNS): A donation of a dozen “Apple TV” devices to the university college of the Cayman islands will lecturers and students to wirelessly link their iPad tablets to overhead projectors during class presentations. Officials from the local college said that the donation also marks a collaborative working relationship with Logic, the IT firm that donated the gizmos. This is aimed at strengthening the university’s use of technology in education as well as the IT programmes within UCCI and in its community educational programmes. “Our aim is to revolutionize instructional delivery at UCCI as well as to expand the borders of UCCI,” the president of the college, Roy Bodden said. “Technology affords an opportunity to reach a much wider audience that need not necessarily travel to UCCI…The expanding capability of technology presents many exciting opportunities for us and for the public,” he added. Grateful for the equipment and thanking the company for its generosity Bodden commended Logic’s spirit of corporate social responsibility. “The goodwill that your company is building through these donations will ultimately become an asset,” the president said. This is one of several donations made by Logic to educational establishments in Cayman, the most recent being to “Feed our Future.” A similar donation was made to a community outreach organisation that provides school supplies to economically disadvantaged children, the firm stated in a release. (CNS): Eight drivers were arrested this weekend for driving under the influence of booze, in the first weekend of the RCIPS’ annual road safety campaign and clampdown on poor driving. Another two drivers were arrested for driving while disqualified and a third for not being qualified to drive. The road safety initiative, called ‘Stay Alive’, which is aimed at drunk drivers and others who commit traffic offences, is designed to cut down on the number of accidents that plague the roads across Cayman. With eleven people arrested in the first three days, Superintendent Adrian Seales, the man leading the campaign, said he was disappointed that so many people chose to ignore the warnings. “How many times do we have to tell people that they will be caught?” he asked rhetorically following the eleven arrests. Last week news reports appeared in all of the local media about the start of the campaign, but with drinking and driving so commonplace, the police still picked up eight drivers who were over the limit. The seasonal road safety drive began on Friday 29 November and it will now run through until the New Year, ending on 5 January. Although raising awareness about the dangers of drinking and driving is at the forefront of the campaign as a result of the Christmas and New Year festivities, the police will also be on the lookout for various other traffic infractions, from speeding to using mobile phones behind the wheel. 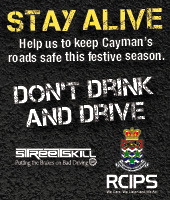 With six fatalities on Cayman’s roads this year, the police are hoping that the awareness campaign will prevent that number from increasing during the holiday period. (MO-COMM): When you think of a classic golf tournament your mind is naturally drawn to the golfing Majors – The Masters at Augusta, the U.S. Open, The (British) Open, and the US PGA Championship. But now I think it fair to say there is another “must see – must win” tournament on the golfing calendar – a fifth Major if you will or in this case a fifth MO’jor because The MOvember MO’PEN Championship 2013 is rapidly becoming the prestigious golf event of the year. The MOvember campaign aims to change the face of men’s health by raising awareness of men’s health issues such as prostate and testicular cance. The MO’PEN CHAMPIONSHIP is a great fundraiser to help support the free-testing of men for prostate cancer and to make a donation to the building of the new Chemotherapy unit at the George Town Hospital. Participants in MOvember, known as “MO bros” grow moustaches as a symbol of their commitment to the cause. And there were plenty of MO’s on show as 108 golfers (although I use the term loosely i.e. people with golf clubs) turned out at the North Sound Golf Club in Safe Haven to pit their wits in a four ball scramble and take part in a number of extra-curricular games that really testing their golfing abilities including putting and chipping, longest drives and closest-to-the-hole competitions. KPMG took the top billing in the tournament itself narrowly beating off the guys from HSBC and Rawlinson & Hunter in a close finish. Wally Clark won the closest-to-the-pin with a superb chip. Alex Dawson won the Men’s Longest Drive, and Toni Pinkerton the Ladies Longest Drive with some fine club work. Event organiser, JS de Jager said, “It was another great day of golf. All thanks to the volunteers, the players and the Sponsors for helping us raise over CI$12,000 on the day for the Cayman Islands Cancer Society.” It’s a fine example of how having fun and raising money for a great cause go hand in hand like hand in (golf) glove – a smooth fit indeed! 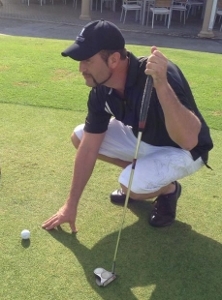 Golf in the Cayman Islands is in rude health and thanks to the efforts of everyone taking part in the MOvember MO’PEN Championship 2013 the importance of men’s health has a higher profile than ever before. Thanks must go to the fine sponsors and supporters of this event and those who provided some great prizes. They include: Mourant Ozannes, Cayman Distributors, Kirk Freeport, Lobster Pot, Cayman Turtle Farm, Saxon Insurance, Cayman Islands Cancer Society, Boss Hoggs for great food, Waterman, Halo, DMS Broadcasting, pwc, Maples, AON, KPMG, Fidelity, Titan Development, Premier Wines and Spirits, Conyers, Dill and Pearman, Global Funds Management, Al La Kebab and Eurocar. The proposed National Conservation Bill is urgently needed, and will provide the Cayman Islands with basic elements of environmental protection which go hand in hand with sustainable development and have long been the norm in most other developed countries. From an international perspective, writing as the Chief Executive of Europe’s largest conservation organisation, it is clear that this Bill does not go as far as much modern nature legislation; it is certainly very far from the extreme environmental measure which some parties are trying to paint it to be. Instead, the Bill will establish an effective, reasonable and necessary environmental management regime and will fulfil Cayman’s international obligations. Above all, it will help ensure that future generations of Caymanians will be able to enjoy the islands’ world-class natural environment, which is otherwise at risk of disappearing forever. The RSPB works actively across the UK Overseas Territories, promoting sustainable development and funding local environmental protection. This balanced and relatively modest Bill, having undergone a decade of consultation, only serves to bring the Cayman Islands up to the environmental standards which many other Territories already enjoy. I hope therefore that it may now, at last, be passed. The Royal Society for the Protection of Birds (RSPB), a registered charity in England and Wales. (CNS): The police have released on bail the five suspects who were aprehended last week following a chase on the high seas. The five local men were arrested on suspicion of robbery following an armed hold-up at the mini-mart in Blossom Village, Little Cayman, last Tuesday afternoon, but police have let the men go as the investigation continues. The suspects were all rounded up off the coast of East End following a joint operation by the Marine and Air Unit after they were thought to have fled from the crime scene on a canoe. Police have confirmed that the store's cash pan was stolen but no other details have been revealed about what was taken in what appears to have been an elaborate robbery. The robbery on the smallest of the Cayman Islands came as a shock across the country and Chief Inspector Frank Owens, the senior RCIPS officer on the Sister Islands, will be hosting a meeting this Wednesday evening on Little Cayman (see details here), as residents come to terms with the armed robbery. (CNS): A non-profit organisation in the Cayman Islands dedicated to improving the reading skills of both adults and children has received a US $5,000 grant from the Rotary Foundation. LIFE (Literacy Is For Everyone) provides reading programmes in the primary schools for students who need help with literacy skills, as well as a new adult volunteer reading partner, CALS (Computer Assisted Literacy Solution). One of the programmes supported by LIFE is an intervention called LLI (Leveled Literacy Solution), which is provided to government primary schools. The donation from Rotary will be used to pay for more LLI interventions, said LIFE Chairman Woody Foster (far right). “LIFE’s business is literacy in the Cayman Islands. It was established two years ago and it is starting to make a difference in the community,” Foster said after receiving the cheque at last Wednesday’s weekly Rotary Sunrise meeting. He noted that LIFE was supported by many volunteers “but some things do not come for free”. As Rotarian Hendrik van Genderen handed over the cheque, he pointed to the worldwide reach of Rotary. This donation comes from the Rotary Foundation through district 7020, of which the Cayman Islands is part. The district reviewed the application, van Genderen said, and agreed to this grant, which is an example of Rotary’s commitment to literacy and its confidence that LIFE will use the funds wisely. The Rotary Foundation,the global charitable arm of Rotary, raises its funds from Rotarians and supporters of Rotary. Funds are disbursed directly by the Foundation or via the Rotary district. Because Rotarians involved are volunteers, administrative overheads are minimal and funds made available by the Foundation go a long way. Grants are effective as applications go through a highly competitive application process and Rotarians in the country which receives the grant ensure that funds are well spent. LIFE is an independent charitable organization dedicated to promoting the significance of literacy, stimulating new literacy initiatives and improving literacy standards of all school age children and adults in the Cayman Islands through advocacy, public awareness, and partnership with governmental and other organisations. Working with volunteers and specialists, LIFE provides necessary resources to teachers and parents in order to facilitate learning in selected children and adults. To learn more visit LIFE’s website. (CNS): A well-known Jamaican scientist will be launching the country’s first ever medical marijuana company tomorrow, which has the backing of Jamaica's health minister. Professor Henry Lowe, the doctor behind the initiative, has high hopes for the useof medical marijuana in Jamaica. "If we do not move on medical marijuana, we will be left behind," Lowe told The Gleaner. "Since the turn of the 21st century, there has been increased recognition and public support for medical marijuana." The news comes as a campaign in Cayman to examine the legalization of the plant for medical purposes is attracting wide support here, although so far the politicians have shied away from the discussion. Following the news of Lowe’s plans to begin work on creating legal medicines from the plant and list the company on the Jamaica Stock Exchange, Burns Connolly, who created the Facebook page Cannabis Cayman, said that the news in Jamaica was a reflection of where things are moving. A recent straw poll on CNS, in which more than 500 people voted, only 7% said the drug should remain illegal. 80% said it should be legalized for both medical and recreational and 14% agreed it should be a lawful medicine. Jamaica joins a number of other countries that are now looking much more closely at the use of ganja as a medicine. Prior to the criminalization of the use of the plant in the US, cannabis was a major ingredient in many medicinal remedies, with strong anecdotal evidence of its healing properties. Its illegal status has done little to prevent its use as a recreational drug but it has made it very difficult for many law abiding citizens to obtain, even when they have found it is the only thing that has a positive impact on their illness of pain. However, the tide does appear to be turning, and with increasing scientific evidence supporting its medical properties and the gradual legalisation of the drug in many US states, opinion is changing. With the establishment of his medical research company, Lowe will be placing Jamaica at the forefront of the development of what is likely to prove an exceptionally lucrative industry in the very near future. “We are going to announce the establishment of a company that will produce and market medical marijuana. The formal announcement will take place on December 3, ahead of the launch of a book on the subject," Professor Lowe stated in the Gleaner. Health Minister Dr Fenton Ferguson said he fully supports the use of ganja for medicinal purposes. "Jamaica can't lock off itself from the rest of the world or the research findings that are available. I want that to be very, very clear, that when it comes to medical marijuana, I am fully on board," said the minister. A recent poll in Jamaica revealed that more than one-third of Jamaicans who use ganja as medicine informed their doctors about the practice, and half of the time the doctor approved the continued use of the drug for treatment. (CNS): A woman suffering from mental health issues has denied three charges of arson and intentionally or recklessly trying to endanger anyone’s life when she set fire to her own home in North Side. The woman has been charged with setting three fires, one of which occurred in August and another two in October, at her home and a neighbouring property. Although she admits starting the fires, the defendant denies any intention to hurt anyone. After she had been in jail on remand at Fairbanks for almost two months because of delays relating to assessments of her ability to plead and understand the charges, the woman was finally bailed by Justice Henderson on Friday into the care of her son and on the commitment that the woman would continue taking her medication.